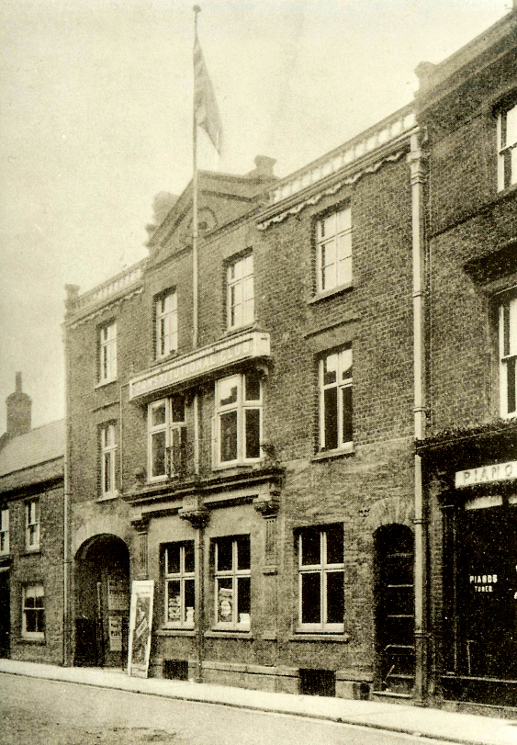 Wednesday 10th December 1902 was the date of the first reported performance by the newly-formed Yeovil Operatic Society, which took place in The Assembly Rooms at the Constitutional Club in Princes Street. This was a concert arranged in connection with Yeovil's celebration of the coronation of King Edward VII on 9th August 1902. The first part of the concert was a variety show, with a mixture of singing and comedy acts. 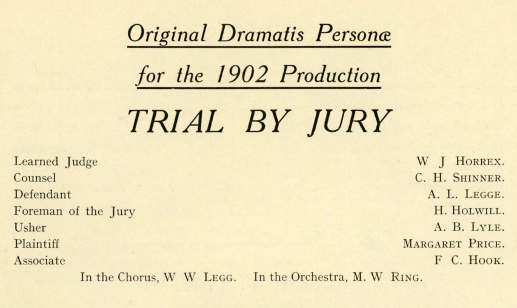 The second part was a performance of the well-known Gilbert & Sullivan operetta 'Trial by Jury'. The report by the Yeovil Chronicle in its edition of Friday 12th December 1902 is copied below. Similar reports were also carried by the Western Gazette on 12th December 1902 and Pulman's Weekly on 16th December 1902. The performance was described by the Yeovil Chronicle as "quite a success, the musical and theatrical parts being a credit to the actors"!